Thuli Thabethe is a South African actress best known for her role as Phumzile on the SABC1 sitcom City Ses'la (2006-2009), for which she won the Golden Horn Award for Best Actress in a Comedy at the 2009 South African Film and Television Awards (SAFTAs). She replaced Busi Lurayi in the role after Lurayi left the show to join the cast of the ITV drama series Wild At Heart in late 2006. Lurayi returned to the role for the fourth and final season. Thuli also starred as Young Nomsa in the Mzansi Magic telenovela iNkaba, from 2012-2013. Thuli has played a number of cameo roles on television shows, including bitchy Maria on Isidingo in 2005, Detective Maseko on Mtunzini.com in 2005, Young Reporter on Hard Copy in 2005, and Doctor on Tshisa in 2006. She studied speech and drama at the National School for the Arts in Johannesburg. After dating Metro FM DJ and Live presenter Tbo Touch (real name Thabo Molefi) for four years, the couple became engaged in November 2008. They had their first child in 2009. Her favourite movies are The Matrix and The Devil's Advocate and her favourite TV show is The Oprah Winfrey Show. Her favourite South African actress is Sophie Ndaba and her favourite international one is Julia Roberts. Her hobbies include reading, writing reflective songs, shopping, organising dinners and trips, singing, scuba diving and interior decorating. 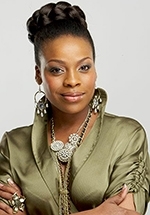 Thuli took over the role of Pinky Khumba from Terry Pheto for the third season of the SABC1 drama series Zone 14, in 2010. In 2013 she was the host of the Mzansi Wethu reality series Our Perfect Wedding, in which 12 couples try to organise the ideal wedding. She left the show after one season to concentrate on her studies and was replaced by Brenda Ngxoli. In 2014 she had a guest starring role in the Mzansi Magic sitcom Kota Life Crisis. In 2015 she had a starring role as the mayor's spokesperson Mercia Sithole in the Mzansi Magic sitcom The Mayor.